"My other plea at Easter time is that these scenes of Christ's lonely sacrifice, laced with moments of denial and abandonment and, at least once, outright betrayal, must never be reenacted by us. He has walked alone once. Now, may I ask that never again will He have to confront sin without our aid and assistance, that never again will He find only unresponsive onlookers when He sees you and me along His Via Dolorosa in our present day. 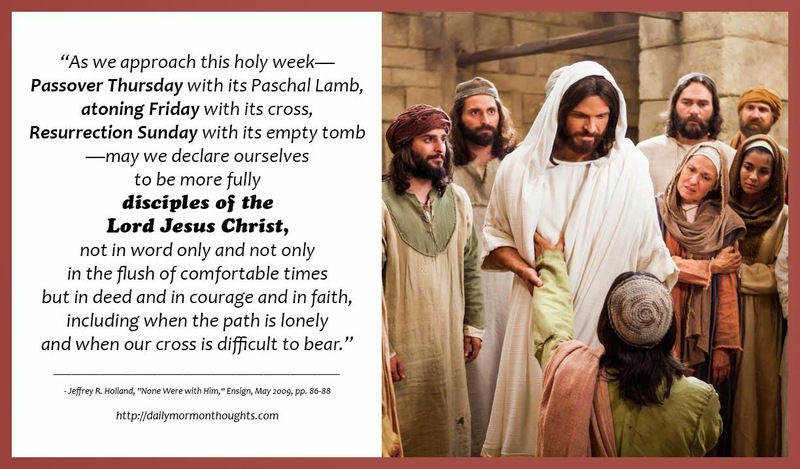 As we approach this holy week—Passover Thursday with its Paschal Lamb, atoning Friday with its cross, Resurrection Sunday with its empty tomb—may we declare ourselves to be more fully disciples of the Lord Jesus Christ, not in word only and not only in the flush of comfortable times but in deed and in courage and in faith, including when the path is lonely and when our cross is difficult to bear. 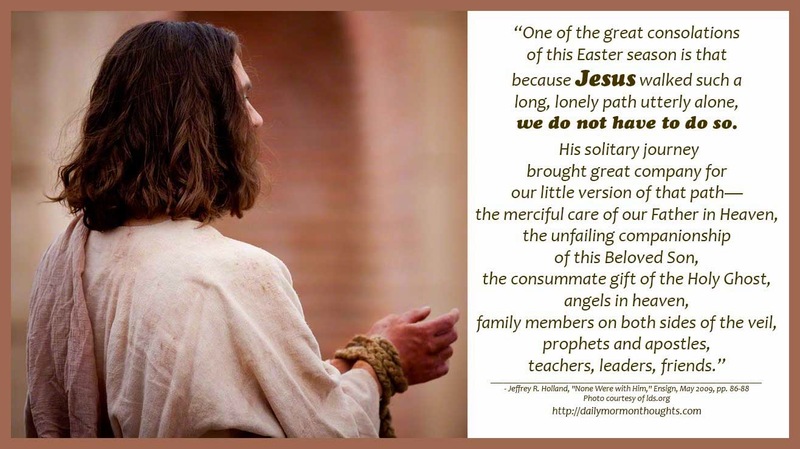 This Easter week and always, may we stand by Jesus Christ 'at all times and in all things, and in all places that [we] may be in, even until death' (Mosiah 18:9), for surely that is how He stood by us when it was unto death and when He had to stand entirely and utterly alone." In this tender excerpt, Elder Holland discusses one of the challenges that comes to almost every one of us during our mortal experience: the feeling of loneliness. Reflecting on the Savior's uniquely difficult and challenging life, he identifies the reality that He really was called upon to do much of his work "utterly alone" — particularly in those crucial final days and hours. And because He was willing to accept and complete that task, the glorious truth results: "Trumpeted from the summit of Calvary is the truth that we will never be left alone nor unaided, even if sometimes we may feel that we are." 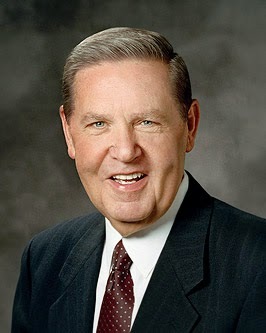 Elder Holland helps us by specifying the many resources we have for our journey; we need to learn to turn to them for help and encouragement during those times when we feel that we are abandoned or beyond help. The third paragraph makes the message beautifully personal. Symbolically, it is now up to each one of us to make sure that neither the Savior nor any of our brothers and sisters in mortality are left alone. We must learn to turn to Him; and we must learn to be ready for others to turn to us as His agents. What a profound invitation to ponder during this Easter season: how can I become, more fully, a disciple of Jesus Christ?